Now you can create your own gigapixel panoramas! 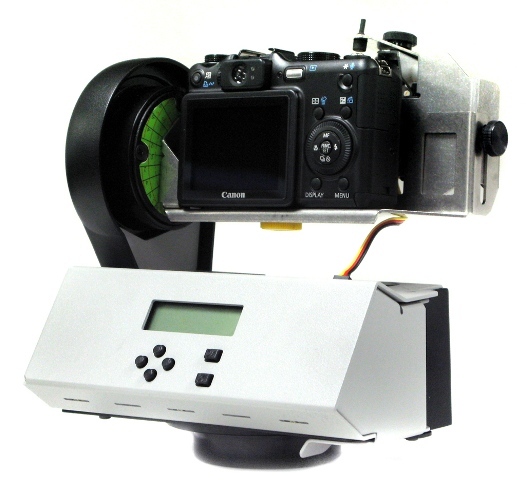 We're very pleased to be working with GigaPan Systems to produce the GigaPan Imager. Part of a system, it works seamlessly with the GigaPan Stitcher and lets you upload panoramas directly to GigaPan.org to share with the world. We hope the availability of a low-cost, portable device will encourage the creation of many high-resolution panoramas. Coupled with the GigaPan.org community, everyone will be able to dynamically explore, annotate and share these high-resolution panoramic images with each other in real time.